Circadian Rhythm, a strategic factor in maintaining your health and fitness by identifying the proper schedule and nutrition information. These, combined with an exercise program, can provide a 600 percent return on your investment within as little as six-months. This means for every dollar you invest in purchasing fitness equipment and your workout time, you are saving six dollars in health care cost. Circadian Rhythms not only deals with a person’s sleeping patterns, but Circadian Rhythm also deals with a person’s digestive system to optimize their health and fitness. The body has an internal clock, the Circadian Rhythm, that allows it to work at its most efficient level during the day. The digestive system has an eight-hour clock that it operates around. Between 2 pm and 5 pm is when the digestive system is working at its maximum level. So if you backup eight hours your eating schedule should start at 9 am. The SR-925 Diet Program represents a diet program that is sugar and starch restricted diet. So if a person can identify two major factors, schedule and nutrition, they can achieve a healthy weight with fitness at the same time without seeing failure from other diet programs or having to order your food. If the body has an eight-hour Circadian Rhythm clock that governs the body’s maximum consumption of energy, which is between 2 pm and 5 pm. The Circadian Rhythm for a person’s eating schedule should be from 9 am to 5 pm. I started using Circadian Rhythm diet schedule in December of 2014 and by March of 2015, I lost six-inches in my waist. That translated to losing 30-pounds of weight. At present, I’ve lost seven-and-a-half-inches in my waist, or 45- pounds in nine months from when I started. And better yet, I have kept the weight off going on for now 3 years. I’m wearing blue jeans, 30 inch waist, that I wore in high school. This program, the Circadian Rhythm SR-925 Diet Program (is free of charge for you to use), is explained in detail in the link above. I encourage you to take advantage of this program FREE of CHARGE. Also most I-phones have apps that can find nutrition information for menu items in restaurants. Once you get a feel for the values of certain food items you began to know what you can select and stay away from. And what is nice about the Circadian Rhythm SR-925 Diet Program is I’m not hurry at anytime during the day. You do have to get use to not eating past 5 pm in the evening. But this takes about a week to get use to. The results are worth it. 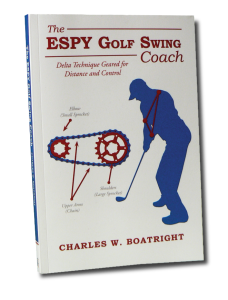 In trying to lose weight for my health, while promoting my book, The ESPY Golf Swing Coach, I developed a self-coaching forum to allow golfers to improve their level of play, handicap, health, and fitness. 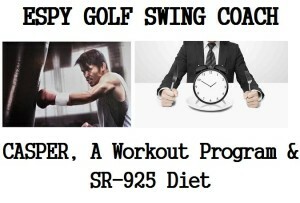 If you are going to promote golf book, health, and fitness, it’s a good idea to look the part. 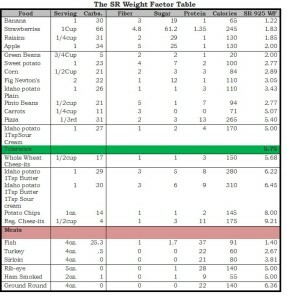 To turbocharge my SR-925 Diet Program, I started looking at two sources for causing weight gain, Sugar and Starches. I needed a way to identify a good nutrition weight factor for foods that I select between 9 am to 5 pm. So I started working with a simple formula that used nutrition information on food labels to determine my Nutrition Weight Factor. Three weeks into my SR-925 Diet Program I started in December, I started to see significant results in the amount of inches I was losing. 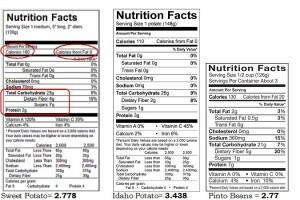 See the food label below and the simple calculations. I try to keep this Nutrition Weight Factor at or below 5.75. Cinnamon– Antioxidant, Anti-inflammatory, Heart Health, Fights Diabetes, and Helps Defend Against Cognitive Decline & Protects Brain Function. Dill– Flavonoids, Anti-inflammatory, and Antiviral properties. Garlic Fights- heart disease, cancer, High blood pressure, Alzheimer’s Disease, Hair loss, and Dementia, Diabetes. Grapes– Bone health, fights heart disease, kidney disorders, and Fights Alzheimer’s Disease. Olive Oil– Promotes Weight loss, Fights Diabetes, Fights Alzheimer’s Disease, and promotes mental agility. Pomegranates– Lowers Risk of Heart Disease, Lowers Risk of Heart Disease, Reduces Cholesterol, Controls Your Weight, and Fights Cell Damage. The third part of your fitness is a routine exercise program that not only benefits you physically, but more importantly, mentally. What benefits the heart and body benefits the mind also. The list of benefits from a routine exercise program are too numerous to list, but some of the big hitters are the prevention of: Heart Disease, Diabetes, weight gain, Alzheimer’s, Arthritis, joint pain, and high blood pressure. Also you can capitalize on your yard work as an exercise by using a grass trimmer. 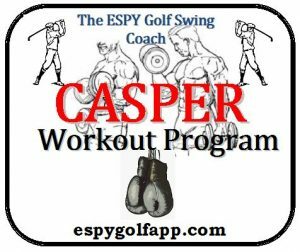 This provides the golfer one of the best exercises for their golf game because of the muscles worked in the forearms, arms, and core muscles. 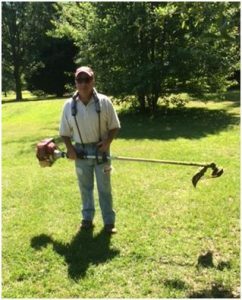 So next time you are doing yard work, don’t think of it as yard work, but improving your golf game as well. This photograph was taken last June (2016) at age 58 after I have lost eight inches in my waist. I now have a 29 inch waist line.